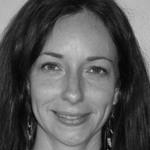 Karen Devries, PhD, is a social epidemiologist at the London School of Hygiene and Tropical Medicine in the UK. Her main research interests involve prevention of and responses to violence against children, violence against women, mental health and sexual health. Her current work includes studies in Uganda and Tanzania, as well as global modelling work on the prevalence of different forms of violence against women and children. She has expertise in a wide range of different types of research, including randomised controlled trials, large scale surveys, systematic reviews and qualitative research. Her research has been published in Science, the Lancet, PLoS Medicine, American Journal of Public Health, Pediatrics, Social Science and Medicine, and range of other journals. She supervises MSc and PhD students, and teaches Social Epidemiology at the LSHTM, and co-organises a short course ‘Researching Gender Based Violence: Methods and Meaning’.